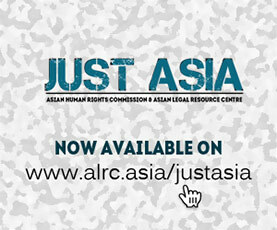 The Asian Human Rights Commission (AHRC) has been informed that a boy, who had been previously beaten by his teacher, was taken to a hospital for his injuries after having been beaten once again. The father of the boy has already made a complaint to the police, but they, instead of conducting a thorough investigation contrary to their own regulations, referred the case for mediation. On 6 May 2008, 11-year-old Hettiarachige Tehan Nipunaka, a sixth grade student of St. Luke Maha Viduhala Ratnapura, went to a toilet when their Science subject teacher, who was due for next lesson, informed the class she would not be able to come. While Tehan was inside the toilet, his classmate came telling him that Sarath Sir, a teacher who is known for carrying a pole and using it in beating his students, had come to temporarily take over as their science teacher. When Tehan, who himself had already been beaten by Sarath previously, came to know of this, he was frightened. Because of fear that he may be beaten again, Tehan did not come out from the toilet and has decided to stay there instead. While he was there, two boys, namely Subotha and Savinda, came to take him back to the class where Sarath was waiting. When they arrived inside the classroom, Sarath started beating the boy on the back with the pole he was carrying. When Tehan tried to protect his back with his hands the teacher repeatedly beat them. The teacher also struck him several times on his spine. Sarath then told the boy to bring his father to the school. Within a few minutes later, his right palm had begun to swell and signs of serious bruising appeared. When Tehan started crying and holding up his palm in immense pain, the teacher took a bottle of ointment (siddalepa) and told another student to rub his palm with it. Then he forced the boy to carry on writing his lessons. On returning home Tehan was still sobbing in pain when he showed his severely injured palm to his parents. Upon seeing his injury, Tehan’s father, H. A. Winter Senaviratne, was outraged by this brutal and needless beating by a teacher. He immediately took his son to a studio in Lellupitiya village where he had his injuries photographed and later took him to the Ratnapura Hospital for treatment. At the hospital, Senaviratne told the doctors examining his son that the boy suffered injuries after having been beaten by his school teacher. Tehan was warded in ward 15 where he was given treatment. The Hospital Police had also obtained a statement from the boy about the incident. Also, a Judicial Medical Officer (JMO) examined the boy’s injuries. The hospital police also advised them to complain to the Women and Children’s Bureau of the Ratnapura Police Station. On May 9, Senaviratne, as advised by the officers of the Hospital Police, he reported the incident to the Ratnapura Police Station. There, a date was fixed for inquiry for May 17. However, when Senaviratne and his son returned on May 17, a female police officer who conducted the inquiry has instead told them their complaint would be put to the Mediation Board. Senaviratne however was not satisfied by the manner by which the police were handling their complaint. What he was seeking from the police was to have their complaint thoroughly looked into and that possible criminal action must be taken against the teacher. Senaviratne believes that the teacher could have been trying to use his influence in the case. Senaviratne was already discouraged from making a complaint to the principal of the school. In the past, when his son was beaten with a broom by another teacher of the same school they made a complaint to the principal. However, no action was taken on his complaint. Apart from his report to the Ratnapura Police Station, which still remains to be substantially acted upon, on May 12 Senaviratne also made a written complaint to the Human Rights Commission of Sri Lanka (HRCSL), the National Child Protection Authority, Inspector General of Police (IGP), Women and Children’s Bureau, Provincial Education Sabaragamauwa Ratnapura and Zonal Education Department of Zonal Education Sabaragamuwa Ratnapura. There have been existing policies and a law which prohibits the use of Corporal Punishment in schools by the education department. Apart from that, article 11 of the Constitution in Sri Lanka, also stipulates that protection from such is a fundamental right guaranteed in the Constitution. On 11 May 2005, the Education Department also issued a circular, Circular No. ED/01/12/01/04/24, to all local schools which prohibits them from using corporal punishment in dealing their students. Also, Section 308A (1) of the Penal Code of Sri Lanka explicitly prevents cruel treatment of children. However, despite these existing laws and policies, the use of corporal punishment in Sri Lankan schools remains unabated; and the teachers responsible have not been effectively prosecuted. The AHRC had in the past reported numerous appeals relating to these incidents. To read the individual cases, please see: AHRC-UAC-089-2008, UA-290-2007, UA-276-2007, UA-268-2007, UA-245-2007, UA-236-2007, UA-208-2007, UA-141-2007, UA-095-2007 and UA-360-2006. Please write to the relevant authorities listed below and request them to investigate this case and take immediate disciplinary action against the teacher. Please be informed that the AHRC has also written separate letter to the UN Special Rapporteur on the Question of Torture calling for his intervention in this case. I am writing to voice my deep concern regarding the severe beating of a boy whose name is mentioned above by a teacher. On May 6, the boy was severely beaten by Sarath Sir, a science teacher in St. Lukes Maha Viduhala Ratnapura, after he failed to immediately report to his class when he went to a toilet. The boy, who had been beaten by the same teacher in the past, decided to stay in the toilet for fear of further maltreatment. The said teacher at the time had temporarily taken over his original subject teacher’s lesson that failed to come. The boy, however, was taken by two other boys from the toilet where he was staying when Sarath Sir had already arrived in their class room. When he was presented to the teacher, the latter had him beaten repeatedly by a pole on the back. As he tried protecting himself from being beaten by covering his back with his palm, instead it suffered severe injuries. It was badly bruised and swollen when he returned home prompting his father, H. A. Winter Senaviratne, to take him to a hospital. The boy was taken to the Ratnapura Hospital where he was treated. There, the Hospital Police had the boy’s statement recorded; and as well as the Judicial Medical Officer (JMO). They, too, had given instruction to boy’s father to report the incident to the Ratnapura Police Station. However, when they went to the police station on May 17 when the inquiry into their complaint had begun the female police officer who was investigating the case instead put their complaint for referral to the Mediation Board. They did not thoroughly investigate into the complaint. I am deeply concerned by the manner in which the police are investigating this complaint. I am aware of the reasons why the boy and his father were already discouraged from making a complaint to the school principal; this was because the principal had in the past refused to take action into an earlier complaint. In fact, the boy had already been beaten by the same teacher previously. I therefore urge you to take immediate action into this incident by ensuring that concerned authorities, particularly the police, take legal or departmental action according to the law upon the teacher involved. The principal must also be made to explain as to why he did not take adequate action into an earlier complaint against the teacher. I look forward to your action into this matter.